UK Confidentiality Agreements. Simple to use. 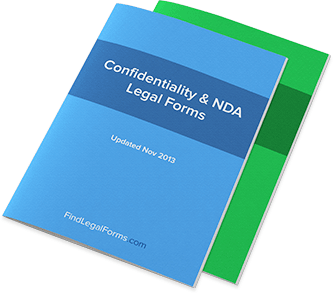 Confidentiality and NDA forms to be used in a variety of business situations. These forms ensure that confidential information will not be disclosed and include general, employee and mutual confidentiality agreements. Agreements used to protect trade secrets and other proprietary information disclosed from one party to another. Authorisation to Release Confidential Information (England and Wales) This Authorisation to Release Confidential Information is designed for use in England and Wales. This legal form is available for immediate download. Non-Disclosure Agreement Forms Combo Package (England and Wales) Get 3 forms for just $14.95. Save 48%! This Non-Disclosure Agreement Forms Combo Package is designed for use in England and Wales. This combo package is available for immediate download. Non-Disclosure Agreement Forms Combo Package (England and Wales) Get 3 forms for just $14.95. Save 48%! This Non-Disclosure Agreement Forms Combo Package is designed for use in England and Wales. This combo package is available for immediate download. Sometimes referred to as “Non-Disclosure Agreements,” Confidentiality Agreements are contracts in which a consenting party agrees not to disclose information that is learned during the relationship between the two parties. Typically these types of agreements are used in a business setting in which businesses want to keep trade secrets as their own secrets and avoid “leaking” them away when an employee decides to move on. The two parties in a Confidentiality Agreement are typically known as the “Discloser” and the “Recipient.” In the case of a new-hire Non-Disclosure Agreement, the employer would be the Discloser and the new employee would be the Recipient. However, Confidentiality Agreements can expand beyond the business world and refer to specific types of information divulged in just about any type of relationship between two parties. Why do I need a Confidentiality Agreement? You only need one if you think you need one, or if you have been summarily advised by a lawyer or trusted adviser to seek one. Because the purpose of a Confidentiality Agreements is to protect information that you consider valuable, it follows that you’ll likely only need to seek this type of arrangement when you have valuable information to protect. However, any information that you wish to keep private can be protected under the terms of a Confidentiality Agreement. What happens if a Confidentiality Agreement is not used? If a Confidentiality Agreement has not been used – say, for example, when your business hired an employee – then you will have little legal recourse to pursue when the Recipient then takes privileged information and spreads it around later for their own purposes. Because a Confidentiality Agreement was not present, it could be said that there was no tacit agreement between the two parties to protect the information in question. Oral agreements can constitute verbal contracts and can be legally binding; however, because these are more difficult to prove, they often do not hold up in court as well as a written agreement will. A written Confidentiality Agreement does not only specify which information is to be protected, but acts as proof that the agreement was made in the first place. This is perhaps the most valuable element to a contract between two parties. What kinds of provisions does a Confidentiality Agreement contain? Information to Recipient: A description of the information that will be disclosed and summarily protected. Without specifying which type of information is protected by the agreement, it can be much harder to protect it. Right, Title, and Interest: This typically outlines the rights and duties that people have in relation to the information to be disclosed; it will often explain why the information is being disclosed. Obligation to Protect Information: This provision adds that it’s not only important to keep silent about said information, but important to actively protect it when it is reasonable to do so. Information Not Covered by Agreement: This explains which information is not expected to be kept confidential, which is important from the perspective of the recipient. It is important that his provision be handled in clear terms so as to better establish which information is indeed covered by the agreement. Additionally, the Confidentiality Agreement will tend to include a provision on time that sets forth the schedule of when the information is to be kept secret; typically, these types of arrangements will allow for information to be disclosed well after the fact. But it’s important to check the terms of your own Confidentiality Agreement if you’re unsure about the terms as they apply to your own situation -- whether you are a Discloser or Recipient. What are my responsibilities as the recipient of a Confidentiality Agreement? These will be specifically outlined in the agreement itself. The common responsibilities to most Confidentiality Agreements are the obvious (the protection of privileged information), as well as an obligation to proactively protect information if the contract deems this is the case, and a time limit on the protection of this information. Generally, a Confidentiality Agreement will require little more than that from the Recipient’s point of view. When is a Confidentiality Agreement valid? Like all contracts, a Confidentiality Agreement must be signed as an agreement between two or more lawful parties who are of sound mind and willing to sign the contract, having not been placed under duress to do so. The chief concern for Confidentiality Agreements is an issue known as “consideration.” Consideration refers, essentially, to the payment or benefits received by each party as a result of the contract. If a contract only contains consideration for one party, it may be an invalid contract because it violates laws on slavery and indentured servitude – in other words, in today’s legal system, one cannot use contract law to essentially force other people into action. In order to provide consideration to both parties, either the Discloser will provide payment in exchange for keeping information confidential, or the agreement will take the form of an NDA in which the Recipient is agreeing to confidentiality in exchange for the privilege of employment. For other types of business transactions, the consideration is typically the "opportunity" to enter into some sort of business partnership (e.g. consultation relationship, joint venture, etc.). When is a Confidentiality Agreement enforceable? Provided that all of the above needs for validity have been met (including consideration), the issue then comes to the enforceability of the Confidentiality Agreement. These contracts are fully enforceable provided that they are fully valid and that it’s clear that one side has broken the agreement.